The first phase in construction of Ennead Architects’ Jing’An Innovation Galaxy International Cultural & Creative Park has been completed in Shanghai, an urban planning project supervised by the studio’s office in the big Chinese city. Ennead Architects is featured in the fifth event in The Architects Series, a series of events held in partnership with The Plan magazine at SpazioFMGperl'Architettura, the exhibition gallery and showroom operated by Iris Ceramica Group brands Iris Ceramica and FMG Fabbrica Marmi e Graniti. The Architects Series - A Documentary on: Ennead, a documentary film taking spectators backstage in the New York studio of Ennead Architects, may be viewed at SpazioFMGperl'Architettura at Via Bergognone 27, Milan until 6 December 2018. 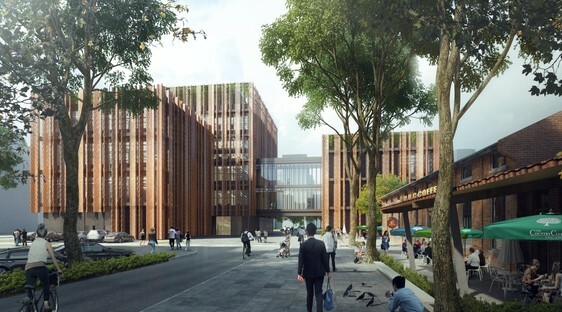 In the Jing’An Innovation Galaxy International Cultural & Creative Park project, Ennead Architects’ Shanghai office is reclaiming a number of existing buildings and redeveloping a part of the city to transform it into a new financial and commercial district for the Chinese city. The location is a district in the north of Shanghai built up around Wanrong Road. The project involves renovation of existing buildings and new constructions giving the area new commercial and financial facilities to attract new entrepreneurs and start-ups. 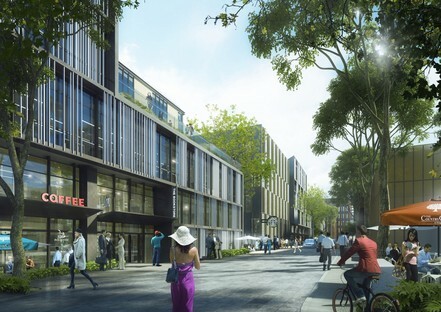 The masterplan for the area aims to create an urban space on a human scale in what is prevalently a pedestrian district, a welcoming park containing the renovated and new buildings. Reclamation of the existing buildings is not only a sustainable choice, saving energy and building materials, but gives the area an eclectic character. The first phase in the project involved construction of a number of new buildings of different types and sizes: a big building that will form the gateway to the site on the west and link it with the rest of the city; a series of smaller buildings like a little village that will flank the edge of the new urban road, and, finally, construction of two unusual buildings. These are two constructions the architects of Ennead call "special": the first of them, the "Treehouse", will be a small building containing a restaurant and a company’s headquarters, while the second construction will be a flexible theatre with 280 seats and an events space. The project for the construction of the two buildings has been awarded to two different architectural studios to add new voices to the overall masterplan for the district. 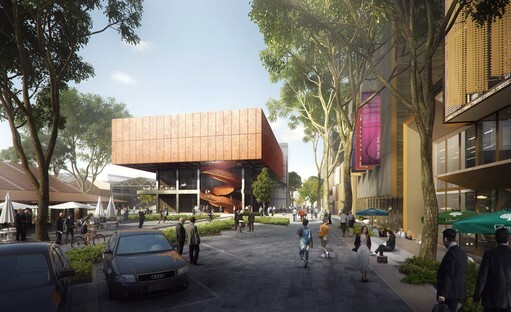 The strong point of Ennead Architects’ plans for the Jing’An Innovation Galaxy International Cultural & Creative Park is that they manage to reclaim and revitalise a part of the history of the city of Shanghai while contributing to the future of enterprise in the city.